Billingsgate Fish-Porter. 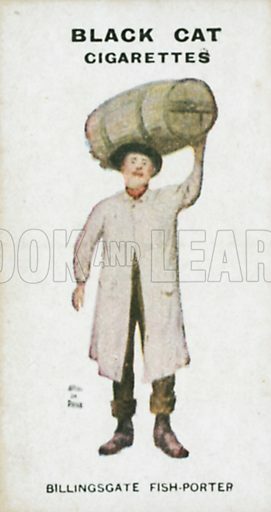 Illustration for Types of London cigarette cards issued by Carreras for Black Cat cigarettes in early 20th century. Available worldwide for immediate download up to 2,910 x 5,499 pixels.